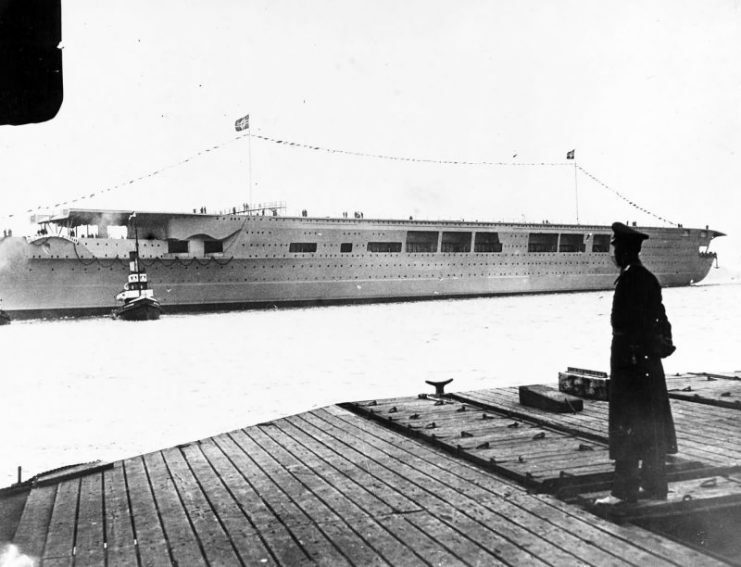 The Graf Zeppelin was one of two major German aircraft carriers. 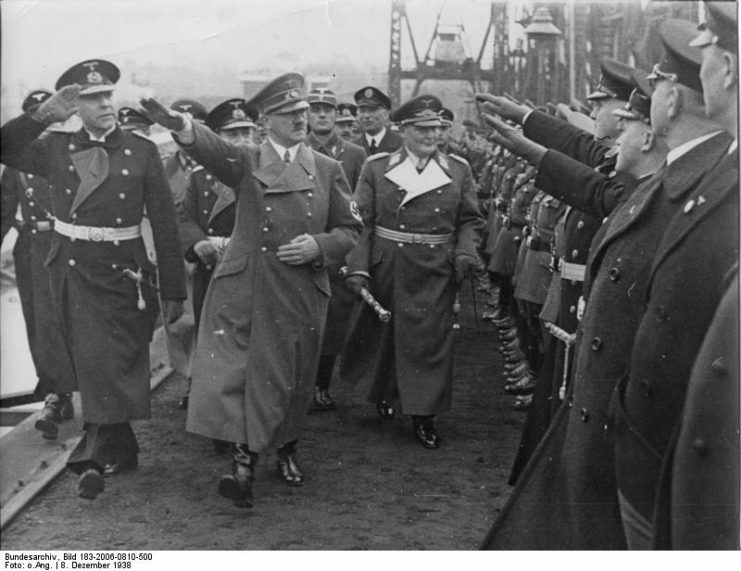 It was named after the German airship designer Count Ferdinand von Zeppelin. This aircraft carrier was launched in 1938, but it was not brought into full combat readiness until 1942. 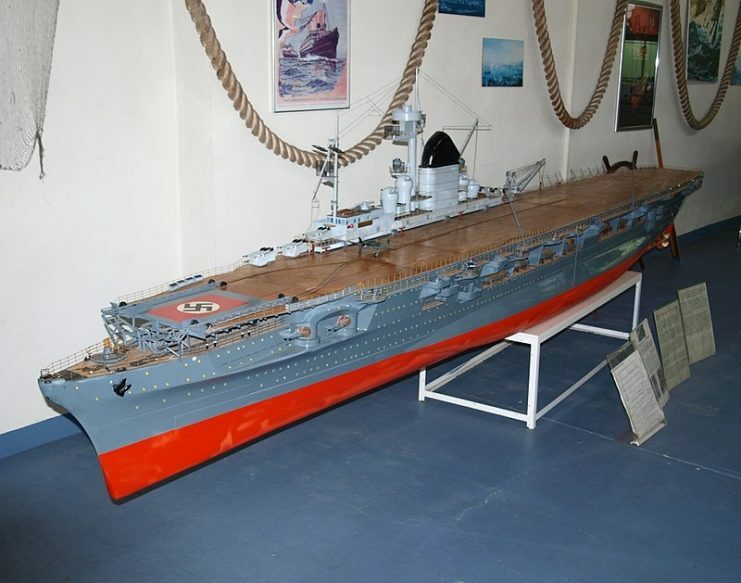 Initially, with the help of this ship, the German command planned to achieve military superiority at sea, but during World War II those plans changed. 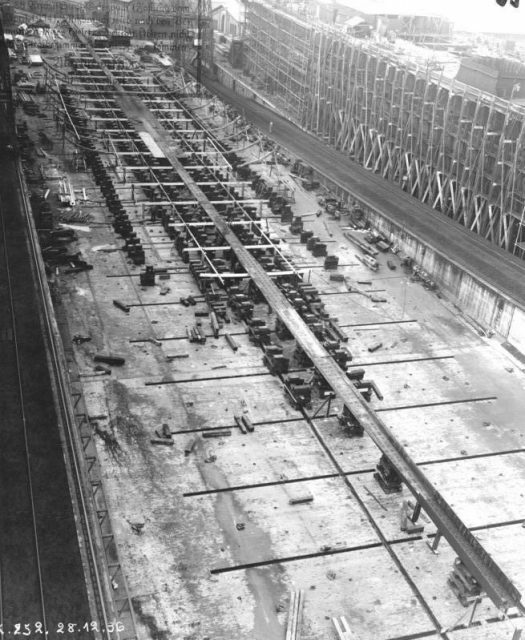 The armament of the aircraft carrier Graf Zeppelin included sixteen 150-mm SCC/28 auxiliary guns, twelve 105-mm SKC/33 anti-aircraft guns, twenty-two 37-mm SKC/30 anti-aircraft guns, and seven 20-mm SKC/38 anti-aircraft guns. The crew consisted of up to 1,720 people. The Zeppelin‘s aviation component was to include twenty Fi 167 multi-purpose aircraft, ten Me 109T (Bf 109T) fighters, and thirty Ju 87C dive bombers. The air group was located in the upper and lower hangars. The length of the aircraft carrier was 861 feet, and the width 103 feet. 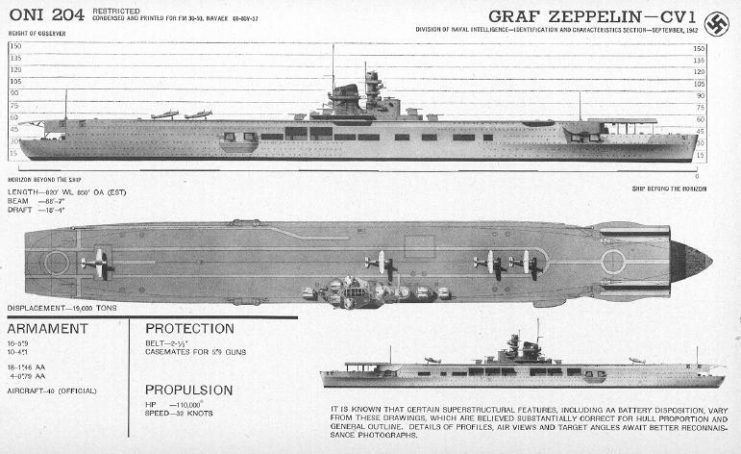 Graf Zeppelin was propelled by four screws with a diameter of over 14 feet each. The engine consisted of four Brown, Boverie & Cie turbines, located in three engine compartments. The engine power was about 200,000 horsepower (147 MW), and yielded a maximum speed of 35 knots. 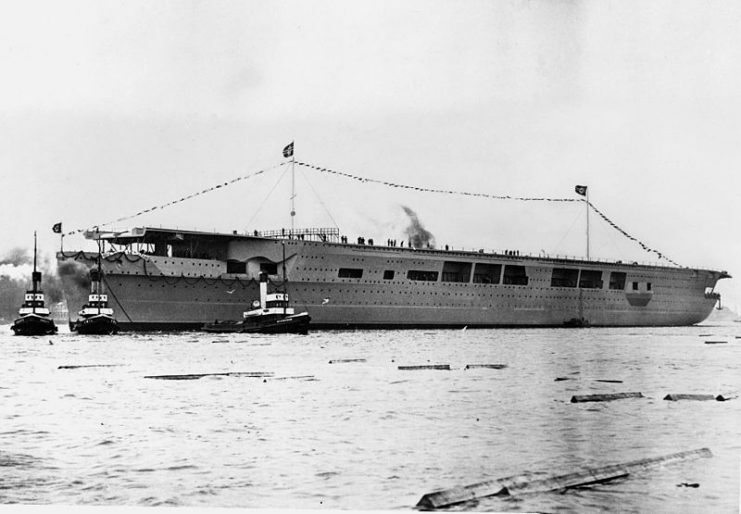 The German aircraft carrier Graf Zeppelin after launching in December 1938. 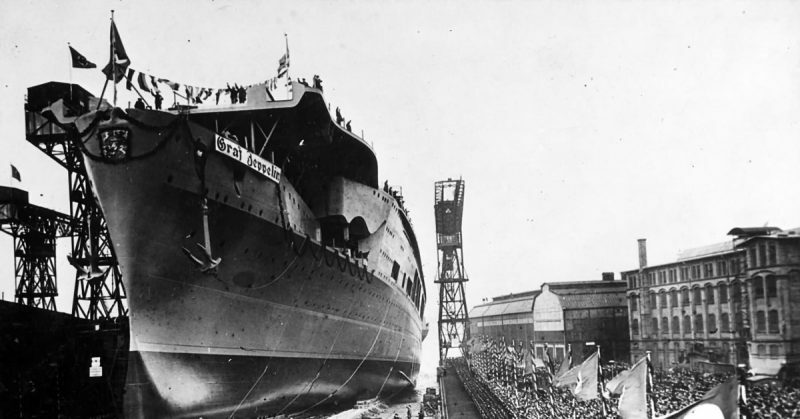 For this reason, Graf Zeppelin remained at the port of the Polish city of Stettin until the very end of the war and was used as a floating barracks. On April 24, 1945, during the retreat, the Germans flooded the aircraft carrier. 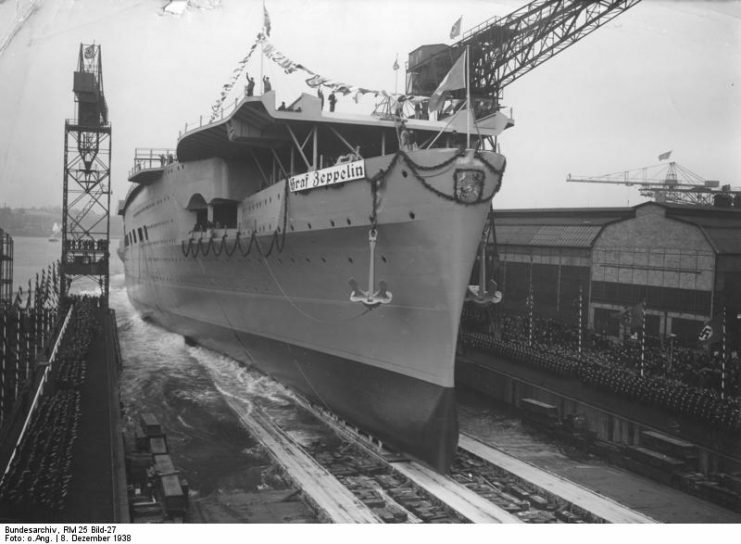 In the summer of 1945, the rescue services of the Soviet Baltic Fleet lifted Graf Zeppelin from the bottom, and on August 19, it was enlisted in the naval forces of the Soviet Union as a trophy. After repair, the ship was used by the Soviet Union to transport industrial equipment from Germany along the waters of the Baltic Sea. In 1947, according to the agreement on the distribution of German, Japanese and Italian fleets, Graf Zeppelin was subject to destruction. 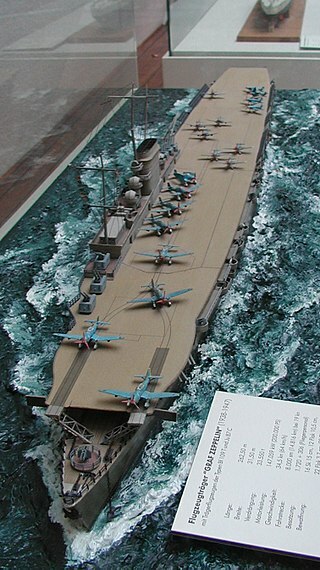 In order to destroy it, Soviet troops used the aircraft carrier as a training target. The location of its wreck was classified. 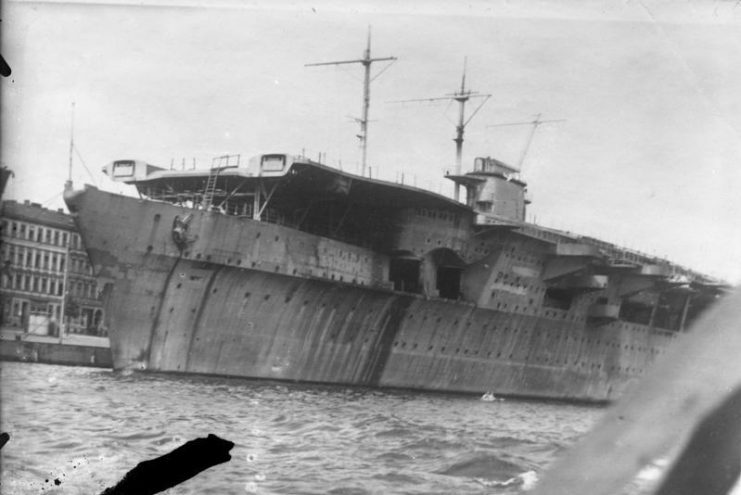 The German aircraft carrier Graf Zeppelin photographed on 6 February 1942 at Gotenhafen (today Gdynia, Poland) by a British Royal Air Force aircraft. A three-masted sailing ship, possibly one of the German Navy’s vessels (Horst Wessel (1936), Albert Leo Schlageter (1937), or Gorch Fock (1933)), appears at a nearby pier. 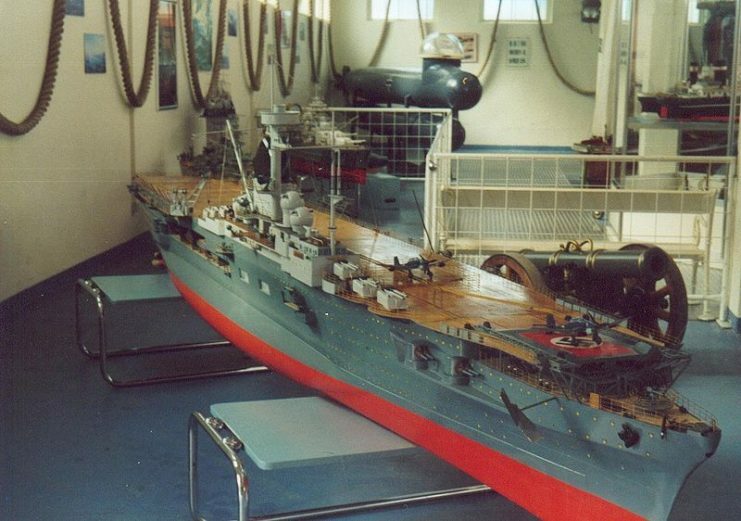 However, in the summer of 2006, a Polish gas and oil field exploration vessel, St. Barbara, accidentally discovered a submerged aircraft carrier nearly 53 miles north of Gdansk. 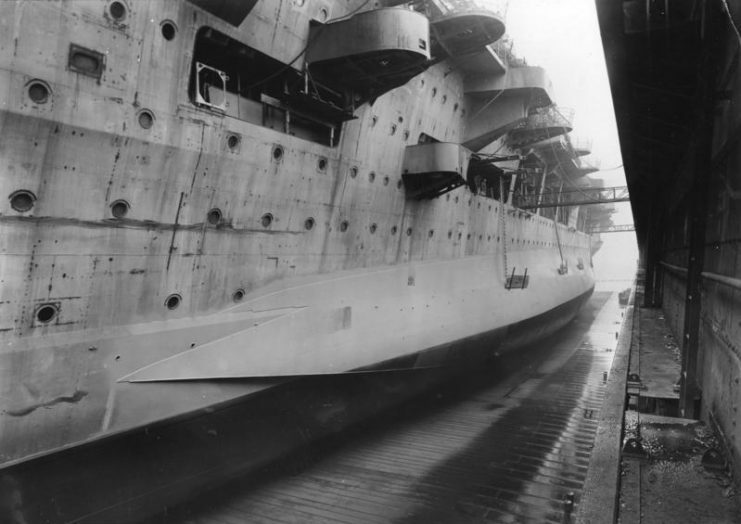 The researchers compared the facts and parameters of the ship with the wreck they found, and they have grounds to believe that this aircraft carrier is indeed the Graf Zeppelin. 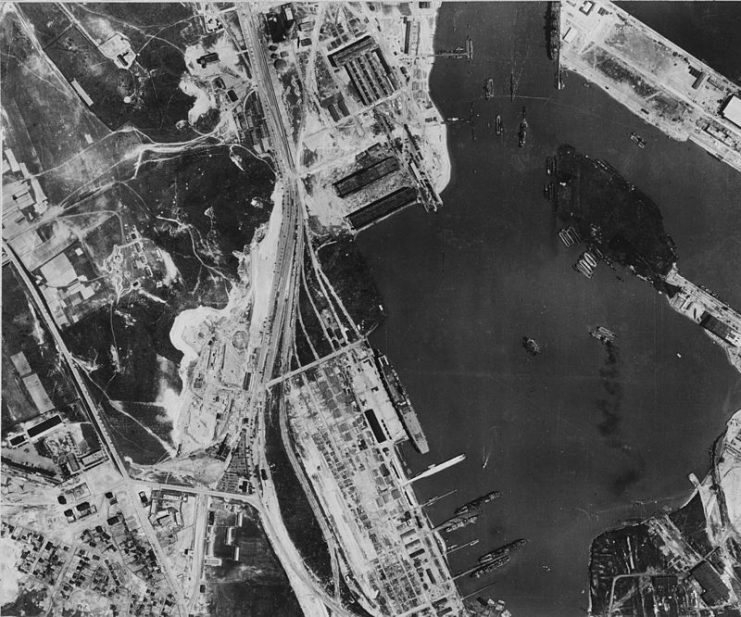 An aerial reconnaissance photo of Gotenhafen, Germany (today Gdynia, Poland), taken by a British Royal Air Force aircraft in June 1942. 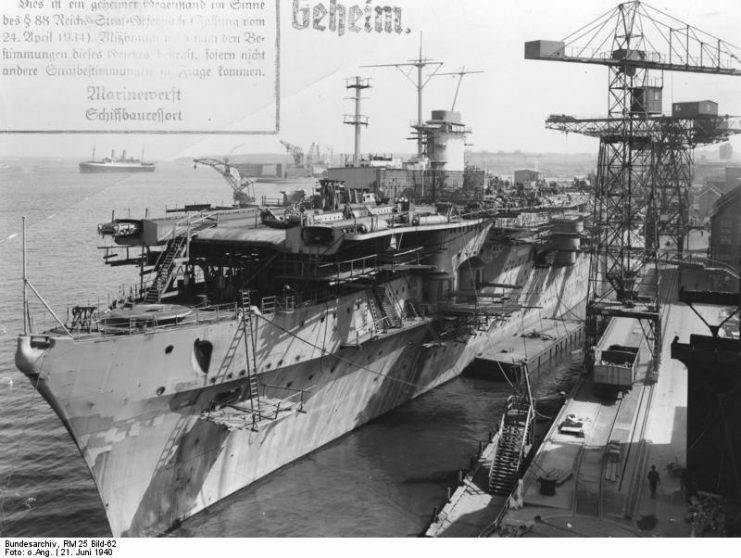 Visible are the damaged battlship Gneisenau, which was under repair and reconstruction at this time. 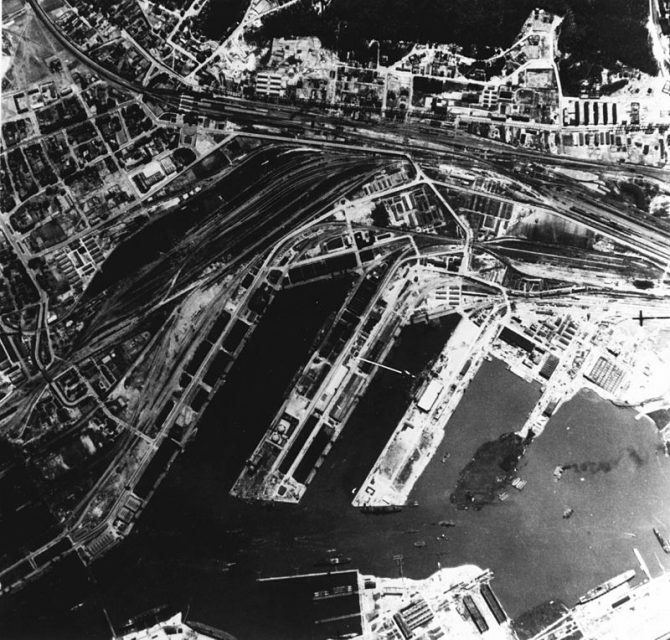 The incomplete aircraft carrier Graf Zeppelin appears in the lower center of this photograph. Graf Zeppelin in Soviet custody at Świnoujście, April 5, 1947. 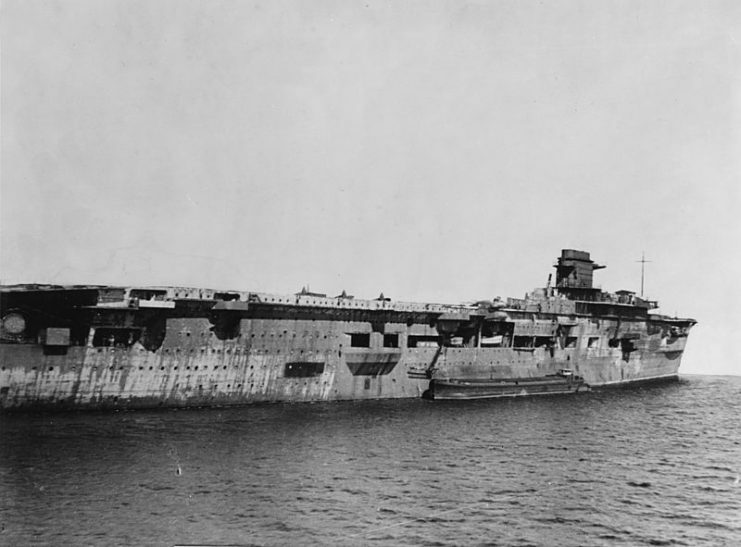 The German aircraft carrier Graf Zeppelin photographed on 6 February 1942 at Gotenhafen (today Gdynia, Poland) by a British Royal Air Force aircraft.